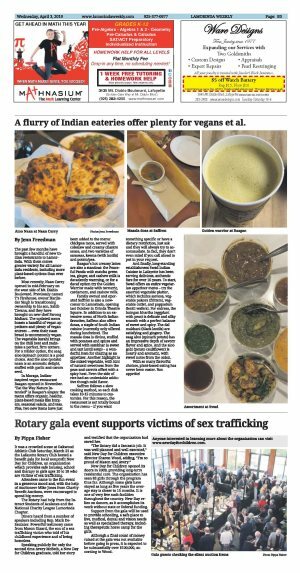 A flurry of Indian eateries offer plenty for vegans et al. The past few months have brought a handful of new Indian restaurants to Lamorinda. With them comes greater variety for all Lamorinda residents, including more plant-based options than ever before. Most recently, Naan Curry opened in mid-February on the west side of Mt. Diablo Boulevard. Previously named T's Firehouse, owner Harjinder Singh is transitioning ownership to his son, Sahib Tiwana, and they have brought on new chef Farooq Multani. The updated menu boasts a handful of vegan appetizers and plenty of vegan entrees . even their naan bread is uncommonly vegan. The vegetable karahi brings on the chili heat and maintains a perfect, firm texture. For a milder option, the saag aloo (spinach potato) is a good choice. 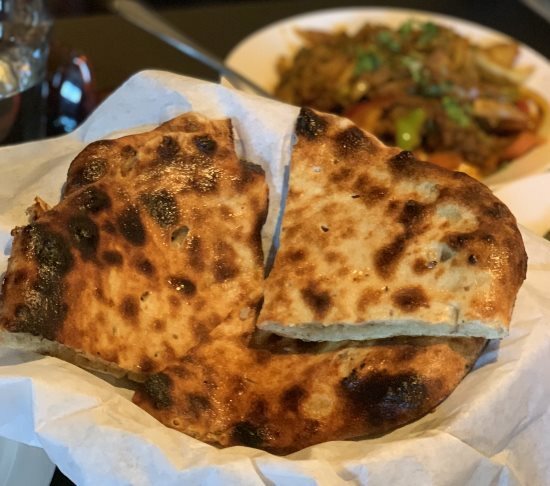 And the aloo (potato) naan is an aromatic delight, stuffed with garlic and carom seed. In Moraga, Indian-inspired vegan restaurant Baagan opened in November. "Eat the Way Nature Intended" is Baagan's slogan: the menu offers organic, healthy, plant-based meals like burgers, seasonal salads, and teas. Plus, two new items have just been added to the menu: chickpea tacos, served with coleslaw and creamy cilantro sauce, and two varieties of samosas, keema (with lentils) and potato/pea. 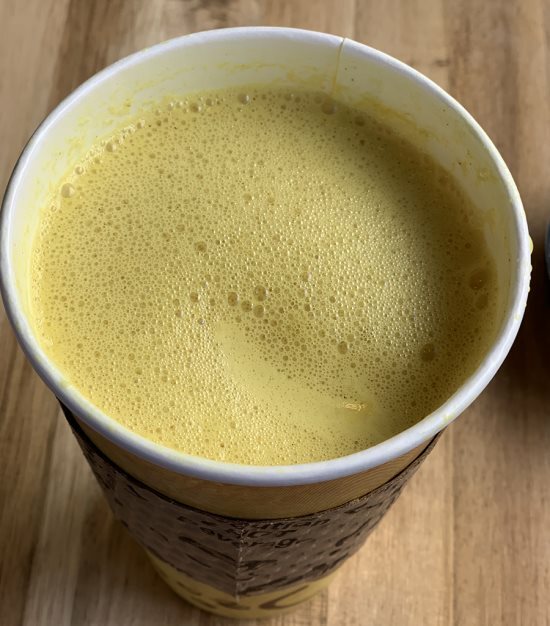 Baagan's hot creamy lattes are also a standout: the Peaceful Panda with matcha green tea, ginger, and cashew milk is decadently warming, or for a decaf option try the Golden Warrior made with turmeric, cardamom, and cashew milk. Family owned and operated Saffron is also a newcomer to Lamorinda, opening last October in Orinda Theatre Square. 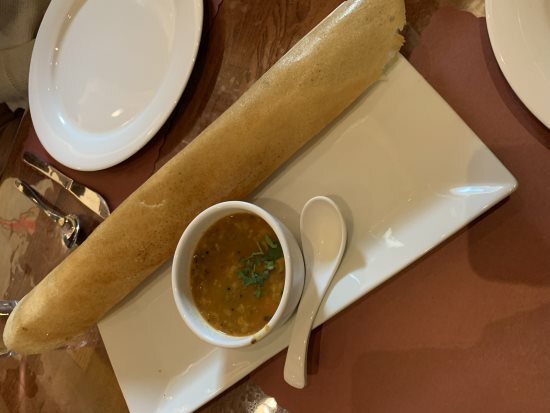 In addition to an extensive menu of North Indian favorites, Saffron also offers dosas, a staple of South Indian cuisine (currently only offered during lunchtime). The masala dosa is divine, stuffed with potatoes and spices and served with sambhar (a sweet and tart lentil soup) - a wonderful item for sharing as an appetizer. Another highlight is the mixed vegetable, with hint of natural sweetness from the peas and carrots offset with a spicy heat. Even the side of rice had an undeniable addictive though mild flavor. Saffron follows a slow cooking method, so each dish takes 10-15 minutes to customize. For this reason, the restaurant is not totally bound to the menu - if you want something specific or have a dietary restriction, just ask and they will always try to accommodate. In fact, they don't even mind if you call ahead to put in your request. And finally, long-standing establishment Swad Indian Cuisine in Lafayette has been serving delicious, authentic fare for over 10 years. 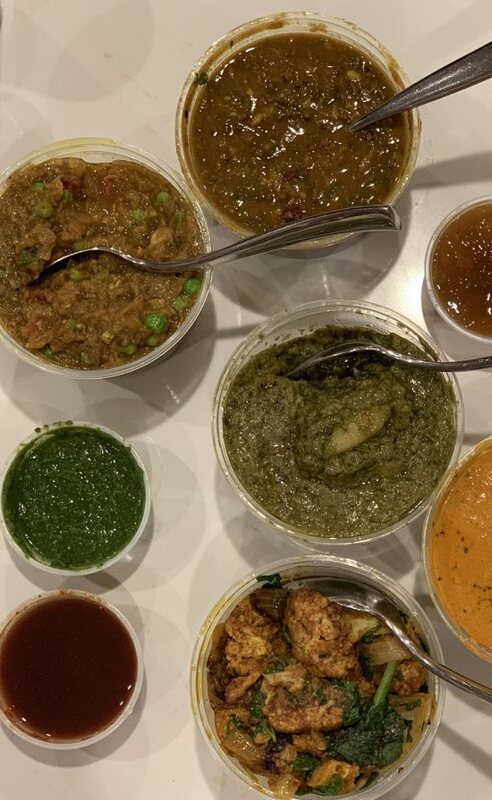 To start, Swad offers an entire vegetarian appetizer menu - try the assorted vegetable platter, which includes samosa, vegetable pakora (fritters), vegetable cutlet, and pappadum (lentil wafers). For entrees, the baingan bhartha (eggplant with peas) is delicate and silky smooth with a perfect balance of sweet and spicy. The dal makhani (black lentils) are satisfying and gingery. The saag aloo (spinach potato) has an impressive depth of savory flavor and spice. And the aloo gobi (potato cauliflower) is hearty and aromatic, with sweet notes from the onion. With so many flavorful choices, plant-based eating has never been easier. Bon appetite!